CD28 antibody LS-C112591 is a PerCP-conjugated mouse monoclonal antibody to CD28 from human and non-human primates. Validated for Flow, Func, ICC, IHC, IP and WB. CD28 antibody was raised against dC28.1.3.3 murine T cell hybridoma transfected with human CD28 cDNA. The antibody CD28.2 reacts with CD28, a disulfide-linked homodimeric type I glycoprotein (monomer of Mw 44 kDa) which is a critical costimulatory receptor of T cells. The reagent is designed for Flow Cytometry analysis of human blood cells using 10 ul reagent / 100 ul of whole blood or 106 cells in a suspension. 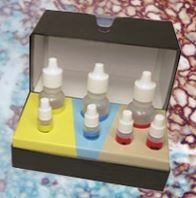 The content of a vial (1 ml) is sufficient for 100 tests. The applications listed have been tested for the unconjugated form of this product. Other forms have not been tested. Store in the dark at 2°C to 8°C. Do not freeze. Protect from light.